Substance use disorder is a nationwide problem in America with as many as 27 million people 12 and older taking part in recreational or illicit drug use within the last month in 2014, according to a Substance Abuse and Mental Health Administration (SAMHSA) survey. This amounts to as much as 1 in 10 people involved with substance abuse. The main drugs being abused are primarily prescription pain-killers and marijuana with pain-relievers account for 4.3 million abuse cases, and marijuana for another 22.2 million. Through the help of the Fort Myers addiction treatment programs at White Sands Treatment Centers, people with a substance abuse problem can be aided in reaching a drug-free lifestyle. Even in this age of information, a stigma about addiction remains. Many people still consider addiction to be the result of poor life choices instead of the brain disorder that it is. Substance use disorder, or SUD, is the use of drugs such as heroin, cocaine, prescription pain killers, marijuana and MDMA in a way that has a negative influence on the person’s social, work, family and school life as well as negative effects on their health. It is the patterned use of illicit substances that continues even though the person is aware of the negative effects it has. SUD encompasses the mental and physical dependence that forms to drugs. Both can be equally challenging to break alone. Through the Fort Myers addiction treatment programs, people suffering from SUD have a better chance of breaking their addiction. The type of substance abuse can increase the risk of an addiction. Highly addictive drugs such as heroin, cocaine and methamphetamine can form a physical addiction in an individual quickly. Genetics play an important role in the development of addiction. If there are other cases of addiction in the family, risk increases due to a predisposition to the disorder, as with other mental disorders. Peer pressure and being surrounded by illicit substances can increase the initial risk of trying a drug, and continued availability can allow the dependence to develop. Using drugs during critical developmental stages in adolescence can increase the risk of an addiction due to the ongoing brain development that is in progress. The taking of drugs can affect their decision making and self-control. Other factors such as trauma and pre-existing mental disorders also play an important role in the development of addictions for some people. The Fort Myers rehab treatment programs are equipped to deal with a variety of addiction cases, giving each person the chance to be free from drug abuse. 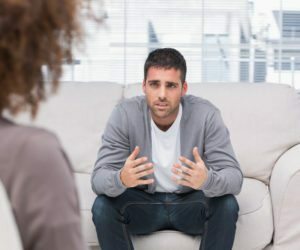 Due to each person requiring an individualized approach to addiction treatment, the Fort Myers addiction treatment programs at White Sands Treatment Centers first assess each patient to ensure that their personalized needs can be met. Furthermore, the Fort Myers rehab treatment programs can allow you to remain autonomous in their outpatient treatment programs – ideal for people who are not severely addicted to drugs or alcohol. Through the Fort Myers residential drug treatment centers such as White Sands Treatment Centers, a well-rounded approach to addiction is taken. Patients live at the facility with each day being filled with intensive therapy and activities aimed at promoting a full recovery from addiction. The supportive environment and around-the-clock care at the Fort Myers residential drug treatment centers is the ideal place to go through detox and to work toward a new way of life that is happy and drug-free.